Written by Marianne Karth, who founded the AnnaLeah & Mary for Truck Safety nonprofit organization. This is one in a series of periodic guest columns by industry thought leaders. When people learned of the recent fatal crash in Florida of a Tesla Model S running in its Autopilot mode, many started questioning the safety of autonomous driving features in the newest cars. While this is a legitimate topic of debate, for now autonomous driving presents little threat to those on the road. It comes on just a handful of expensive luxury models, and there’s only a small chance that the car driving next to you will have a robot at the controls. However, the tragic Tesla crash does highlight a real and present highway danger — cars sliding underneath large trucks when vehicles collide. Regardless of who was at fault in the Tesla crash, the driver might have lived if the truck had been required to have side guards that would have prevented the electric sports sedan from wedging underneath the trailer. I know just how dangerous collisions like this can be. My youngest daughters, AnnaLeah and Mary, died in 2013 in a truck rear underride crash. I was driving and the girls were in the back seat when a truck hit our Ford Crown Victoria and sent us spinning so that we went backward into the rear of another tractor-trailer. The rear underride guard could not withstand the crash and came off, which meant that nothing was stopping our car from sliding under the truck. After the trunk of the car went under the truck, the back of the truck entered the back seat — killing AnnaLeah instantly. Mary died a few days later from the horrific injuries that she suffered. They were 17 and 13. The rear underride guard met the current federal underride standard. But in 2011 and again just a few months before the crash in 2013, the Insurance Institute for Highway Safety tested the underride guards of eight major trailer manufacturers. In 2011, none of the eight were able to stop underride on the outer edges of the truck even though they met the federal standard. By 2013, only one company had improved its guard to more adequately protect the occupants of passenger cars in such a crash. Sadly, my family and those survived by the Florida Tesla driver are far from alone. Such crashes are almost daily occurrences. A man died earlier this month near Ionia, Mich., when his small sedan crashed into the side of a tractor-trailer — which had no side underride protection — and went underneath. Hundreds of people die needlessly in underride crashes every year. 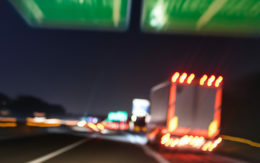 According to an analysis of data from the National Highway Traffic Safety Administration’s Fatality Analysis Reporting System, truck underride crashes caused 228 deaths in 2014 — the latest year for which the agency has information. More than 2,200 people died in such crashes in the 10-year period through 2014. Because of gaps in federal data, it’s likely that the truck underride crash death toll is much larger. U.S. safety regulators have debated for years on how to prevent the tragedy of underride fatalities — including the possibility of using side guards on trucks — since 1969. Many of these deaths could have been prevented had better underride protection been mandated. So why is NHTSA, which acknowledges the problem and whose own data demonstrate that underride kills thousands of Americans, taking so long to solve this problem? proposed rule in December 2015 was too weak and ineffective. We organized an Underride Roundtable at IIHS on May 5, 2016. At that event, IIHS crash tested an improved guard. Now there are four manufacturers making guards that prevent deadly underride situations across the full lengths of the underguard — proving that it is possible to save lives. Following that gathering of almost 100 people, a consensus recommendation for a more stringent rule was submitted to NHTSA on last week. In July 2015, NHTSA responded to our petition to require underride guards on currently exempt Single Unit Trucks (SUTs), such as dump trucks, garbage haulers, concrete mixers, tank trucks, trash trucks and local delivery trucks. 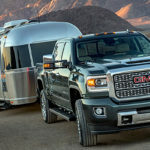 NHTSA took the first step to discuss underride protection for these trucks because research has shown that there are many deaths due to smaller vehicles colliding with the rear ends of SUTs. This needs to move forward to a final rule. Our 2014 petition also called for federal standards to be issued for side guards (as well as front override). NHTSA indicated that it would consider this at a later date. Nothing has been done thus far. There is no federal mandate to put underride guards on the sides of trucks. Yet for years, engineers have been developing solutions to the problem of deadly side underride. In fact, some cities are out in front of federal regulators. They don’t want their citizens dying from a preventable cause. New York and Boston are installing side guards on city-owned trucks, such as garbage trucks. They also are requiring companies that contract with the cities to install side guards to protect pedestrians, bicyclists and motorcycle riders. The cost is not expensive. Boston spends an average of $1,300 per vehicle, according to Kris Carter of the city’s Office of New Urban Mechanics. Airflow Deflectors, which installs many of those side guards for the cities, recently teamed up with an engineer/crash reconstructionist who has invented a side guard that will protect passenger vehicles as well. The AngelWing side guards are expected to be available in the early fall. Another engineer, Aaron Kiefer, has invented an innovative combination rear/side guard that can be retrofitted to trucks. He is working toward getting it on the market as well. Our economy could not function without trucks. The trucking industry moves about 70 percent of all domestic freight and generates more than $700 billion annually in revenue. We need trucks on the road. The American Trucking Associations says there are 3.6 million heavy-duty trucks in America. We need each to be safe. It’s past time for the industry, truck and trailer manufacturers and NHTSA to get together and establish tough standards for underride guards. We need guards that will withstand the impact of a spinning Crown Victoria like mine and prevent the deadly underride that killed my daughters. There’s precedent for collaborative action. NHTSA and 20 automakers representing virtually every light vehicle sold in America reached an agreement to make life-saving automatic emergency braking a standard feature on new cars no later than late 2022. And that involves the implementation of advanced technology across tens of millions of vehicles. The Underride Roundtable demonstrated that communication and collaboration are possible. IIHS has shown that manufacturers can make voluntary improvement, and J.B. Hunt has proved that trailer buyers are willing to purchase safer trucks. Plenty of engineers say that installing robust underride protection on trucks would be easy. Read our latest petition to Congress. Let’s stop stalling on underride protection. Editor’s note: Marianne Karth founded the AnnaLeah & Mary for Truck Safety nonprofit organization. She is the mother of nine children and has a master’s degree in public health from the University of Michigan.